Project Management and the Executive Recently I was involved in an attempt to collect damages for a client who suffered extensive cost and schedule overruns on a project. 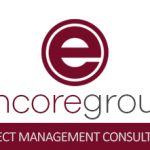 Encore Group Support Save time, lighten IT and super user workload, and maximize the return on your investment by utilizing our experienced vendor certified specialists to support your project management software. Services include application training, administration, error resolution, and vendor escalation. 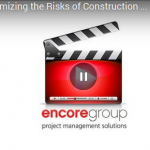 Project Execution – Identify Trends in Minutes per Week In a construction environment where projects are few and far between and where profits and budgets have been squeezed (if there is any left at all), project execution is an essential element for an organization’s survival. Need help deciding what software is right for you? Our experts can help you decide which software solution is right for you, or you. Call us at 800-991-7029, or contact us by contact us , with any comments or questions.